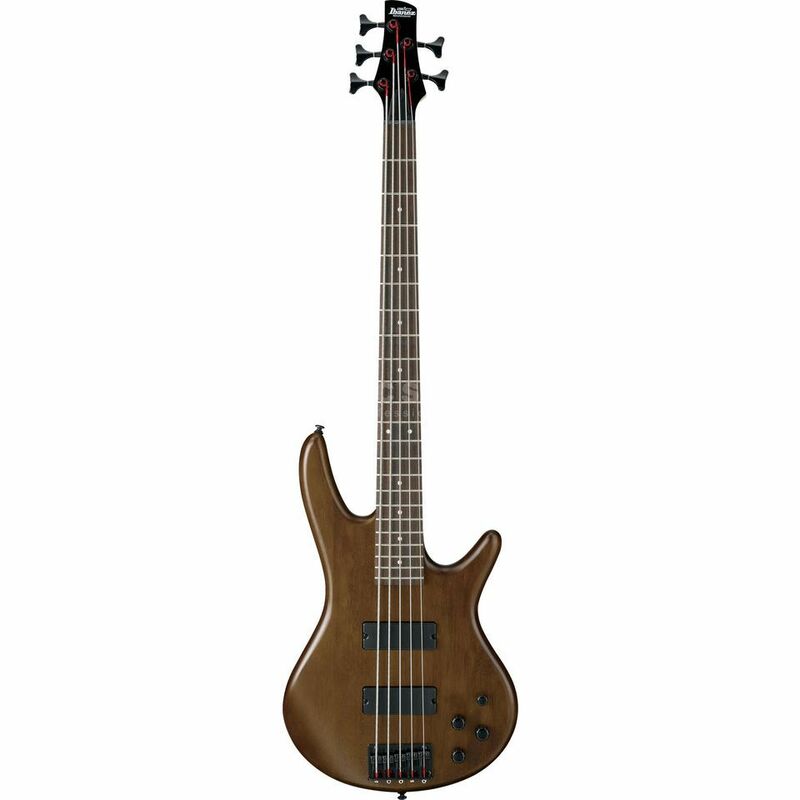 The Ibanez Gio GSR205B-WNF Walnut Flat is a five-string bass guitar built to deliver the famous Soundgear comfort, tone and playing experience through its look and components. This Ibanez guitar is equipped with a versatile pair of pickups including a Dynamix H humbucker at the bridge position and a Dynamix H humbucker model in the neck position. These pickups combine to deliver that classic Ibanez crunch for chords and singing leads, controllable via two volume controls, a master tone control and a Phat II EQ control to add some extra low-end power to the mix. I am a guitarist and bought this instrument to widen the reach of my fingers and also to practice slap style playing. Actually, I started from playing a bass guitar and this is the first bass guitar that I bought myself (I ussually borrow from friends). Before buying this instrument, I spent weeeeks listening to demos and reviews of different bass guitars in this price range and finally found this one! I tried 4-string basses before and I wanted to experience something different so I purchased this 5 string. Upon receiving it, I was overwhelmed with the quality of the finish. The walnut finish looks really great! The body-neck balance feels great. Though its lightweight, the sound is huge! The tuners always stays in tune so no need to frequently tune. The fretworks is nicely done and no sharp edges compared to other instrument in this price range. The bridge looks tight and durable. The passive pick-ups really sounds well and give extra punch when Phat II EQ is used. I highly recommend this bass guitar! It's 10/10 in price/quality ratio! I will definitely buy this guitar again in case of lost/damage. Bought two basses in one purchase one for church and this one for home use and I've got to say it's the perfect bass for practising.